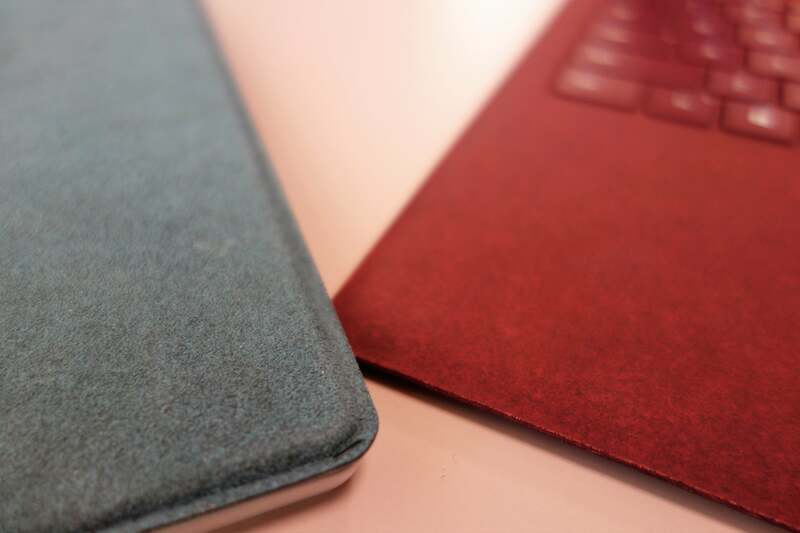 Our Surface Laptop review looks at Microsoft’s new notebook in two ways: as a stylish ultrabook, designed and priced to compete with Apple’s MacBook Air for college students’ favor. But it’s also a machine purpose-built for Windows 10 S, which restricts users to Windows Store apps but allows an upgrade to Windows 10 Pro. 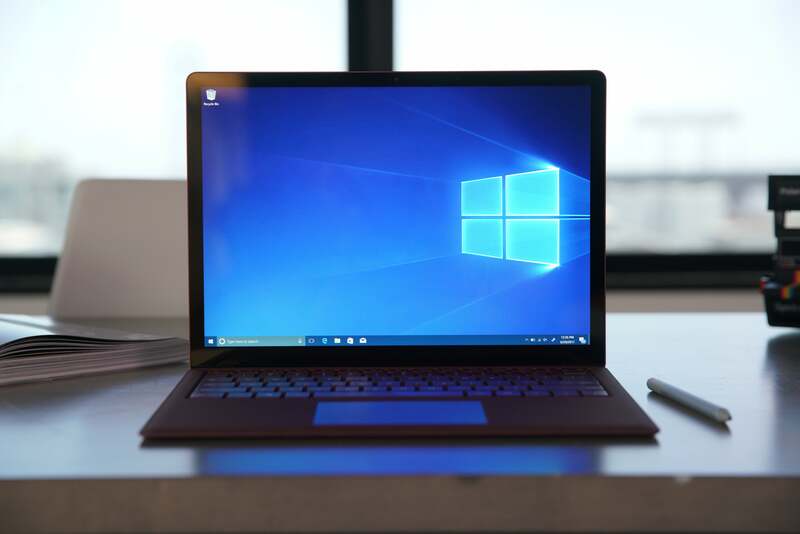 We’ve therefore reviewed the Surface Laptop using its native Windows 10 S, but will add to our review once we make the leap to Windows 10 Pro, which offers the freedom to load any app you choose. After several days using the Surface Laptop as a Windows 10 S machine, though, I can already say it does a great job of addressing exactly what college students need. For other users intrigued by it, though, I might look a bit further afield, or at least bail out of Windows 10 S early on. 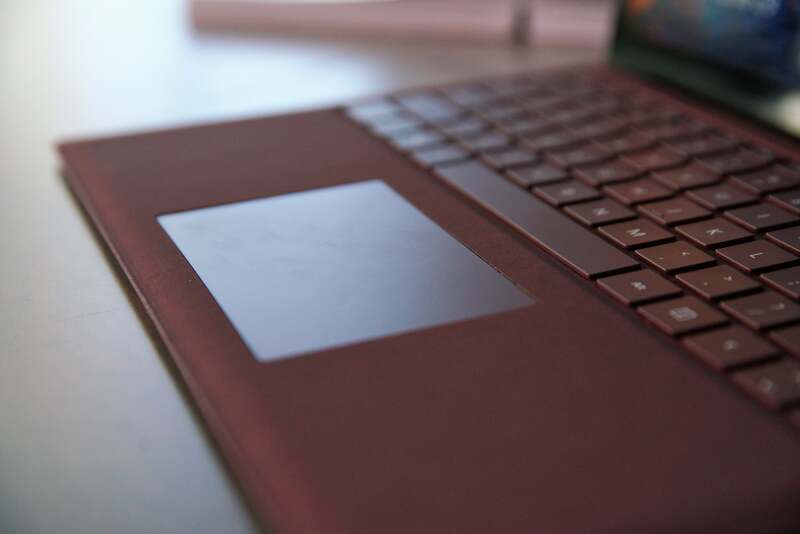 The tinted aluminum exterior of the Surface Laptop gleams, especially with color options like burgundy. Microsoft also separately ships a Surface Arc Mouse, which is color-coordinated to match the Surface Laptop. The Surface Pen and Surface Dial will work with the Laptop, but they’re not required. We reviewed the $1,299 model, which I’d consider to be the price/performance sweet spot, assuming a college student with generous parents. Though gamers want 16GB of RAM, 8GB is sufficient for web browsing and some basic apps, and 256GB of storage is finally becoming more of the norm. Just as important as what’s inside is the Surface Laptop’s outside, which is dressed to kill MacBook Airs. Lifting the tinted aluminum veneer of the lid to reveal the softer Alcantara fabric of the keyboard tray beneath evokes the elegance of a jewelry box. Microsoft also streamlined the exterior by eliminating the volume control rocker switch and power button, moving them to the keyboard. 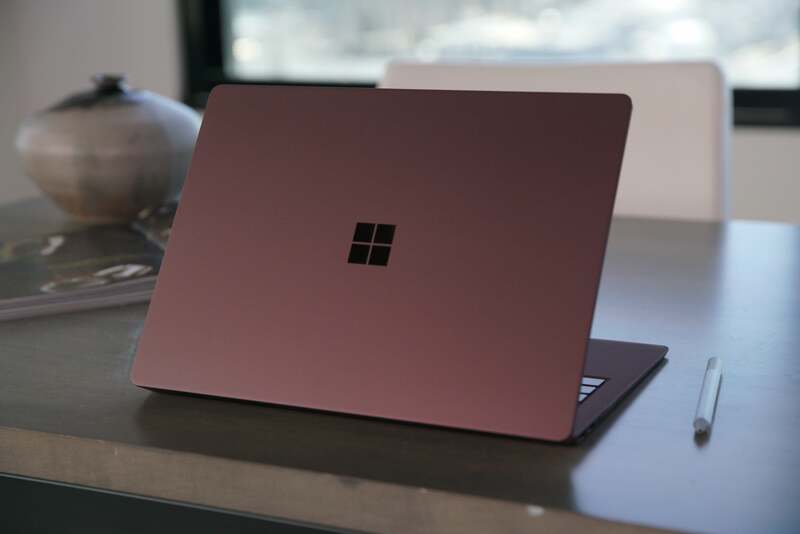 Microsoft offers four colors for the Surface Laptop, though they’re currently not available throughout the full product line. 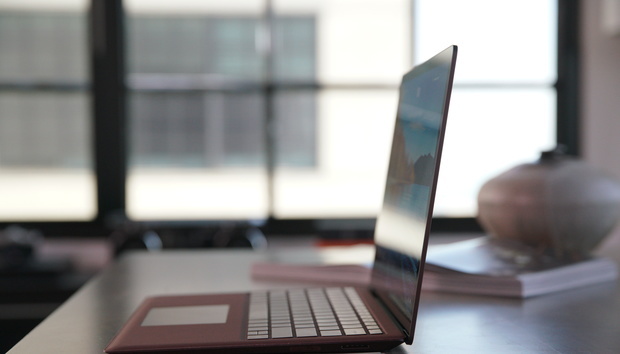 The Surface Laptop is very thin, just 0.57 inches at most, compared to the MacBook Air’s 0.68-inch profile. At 12.13 x 8.79 inches, it’s also a little smaller than the MacBook Air. Grab the Surface Laptop by its keyboard, and its 2.76-pound weight (3.2 pounds with charger) will feel impressively light. There’s one catch: The base $999 Core i5 model ships only in the silvery “platinum” color. The only configuration to offer the three other color options (graphite gold, burgundy, cobalt blue) is the model we tested. While Microsoft should eventually offer the additional colors across the entire product line, it hasn’t yet—a situation that’s sure to frustrate some consumers. “Thin and light” defines the Surface Laptop. 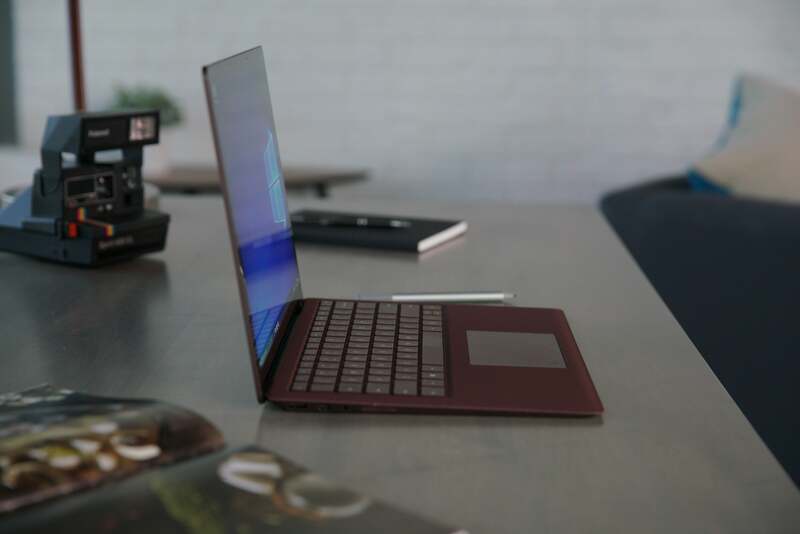 Thin ultrabooks have to give up something, and the Surface Laptop’s configuration is no different. Most of it is good: Our unit houses a 2.5GHz Core i5-7200U, part of the 7th-generation Kaby Lake family. 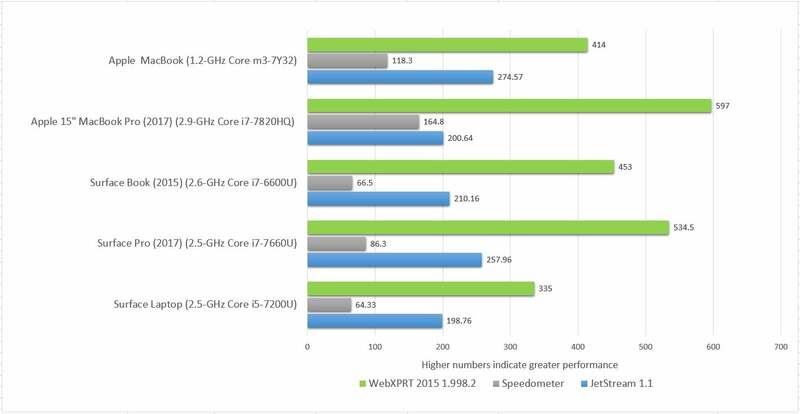 Each of the Core i5 options includes an Intel HD 620 graphics core, while the Core i7 version includes the powerful (for integrated graphics, that is) Iris Plus 640 core which we tested on the new Surface Pro. For college papers and web browsing, an HD 620 core will be just fine. One of the hallmarks of the Surface lineup is the display, and I enjoy Microsoft’s bright PixelSense 10-point touchscreens. The Surface Laptop’s 13.5-inch, 2256x1504 (201 ppi) version, aligned in Microsoft’s standard 3:2 ratio, lives up to the name. The IPS panel pumps out 365 lumens, enough even for outdoor use. Some competing devices offer 4K displays. Keep in mind, though, that pushing more pixels requires more power, and one of the strengths of the Surface Laptop is its excellent battery life. The sides of the Laptop chassis angle in, making inserting the Surface Laptop charger blade a bit awkward sometimes. 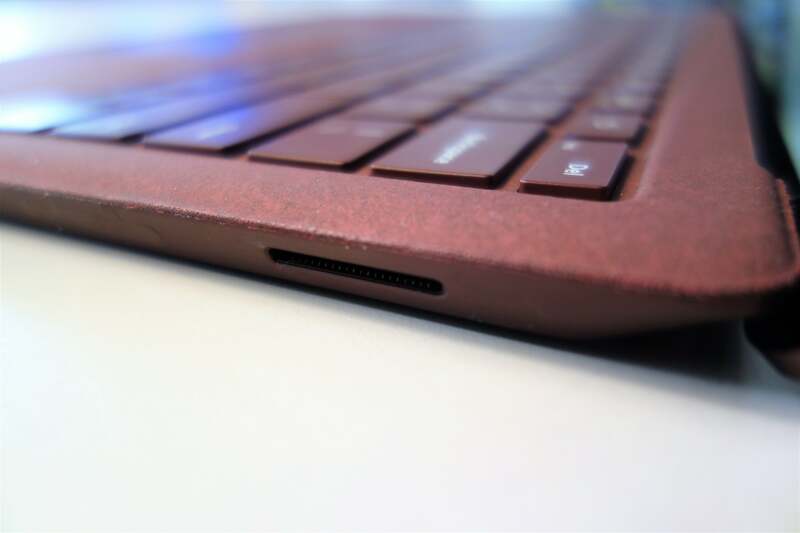 On the right side of the Laptop is Microsoft’s Surface connector, maintaining compatibility with older chargers as well as optional peripherals like the Surface Dock. The other ports—USB 3.0 Type A, miniDisplayPort, headphone—appear on the left side of the chassis. There is no miniSD or other removable storage slot, recognition that photos and other files are more often stored online or on USB sticks. I can agree with that rationale, though the single USB-A port looks awfully lonely, and the lack of USB-C is the opposite of future-proofing. Would an additional USB connector have killed you, Microsoft? The Surface Laptop reclines about as far as the Surface Book, about 50 degrees or so off the horizontal. Unlike the Surface Book, however, there’s no accordion hinge. Instead, an barely-visible hinge smoothly moves the display back and forth. The screen tends to wobble a bit when inking or when the keyboard moves sharply. 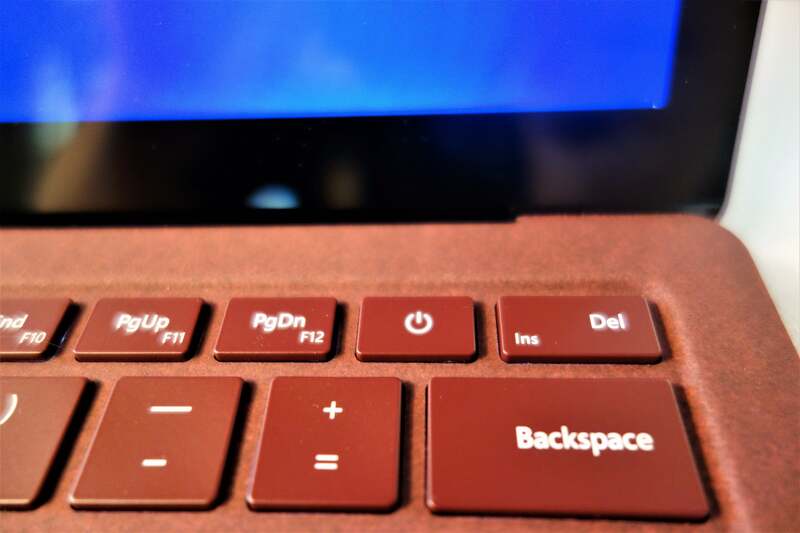 You can sum up the Surface Laptop’s keyboard simply: Aside from one small modification, Microsoft bundled the Surface Pro’s backlit keyboard with the Surface Book’s touchpad. The space allocated to the keyboard on both devices is literally the same—4 x 10.75 inches—and the touchpad dimensions on both the Book and the Laptop are identical. 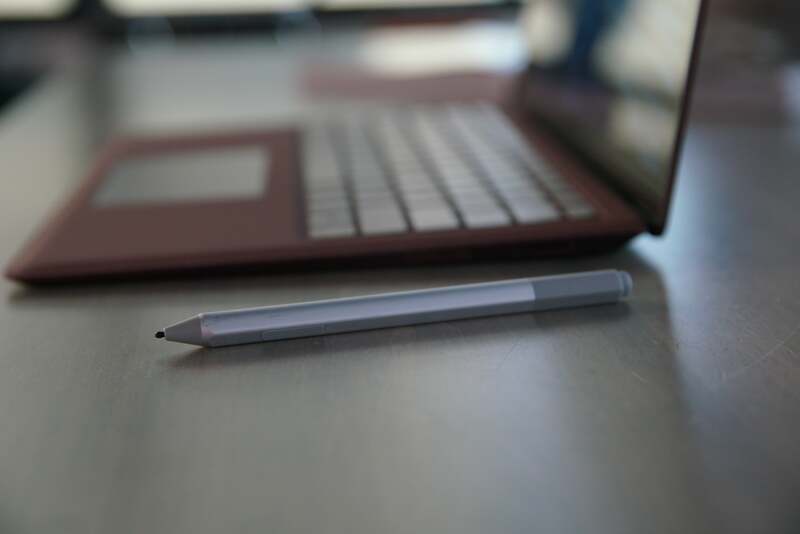 Though the Laptop doesn’t require the Surface Pen, it immediately wrote and “erased” digital ink, without any setup. That said, the Surface Laptop’s typing experience falls slightly short of the Surface Book’s. I prefer the fluidity of the Surface Book’s keys. There’s also a bit of structural give in the Laptop’s keyboard that isn’t present on the Book. To test it, I placed a small screw between the R, T, F, and G keys. On the Laptop, I noticed a bit of bowing that wasn’t present on the Surface Book, which expresses itself as a slightly mushy feel that’s independent of the keys. Surface Book trackpad, meet the Surface Pro (2017) keyboard. 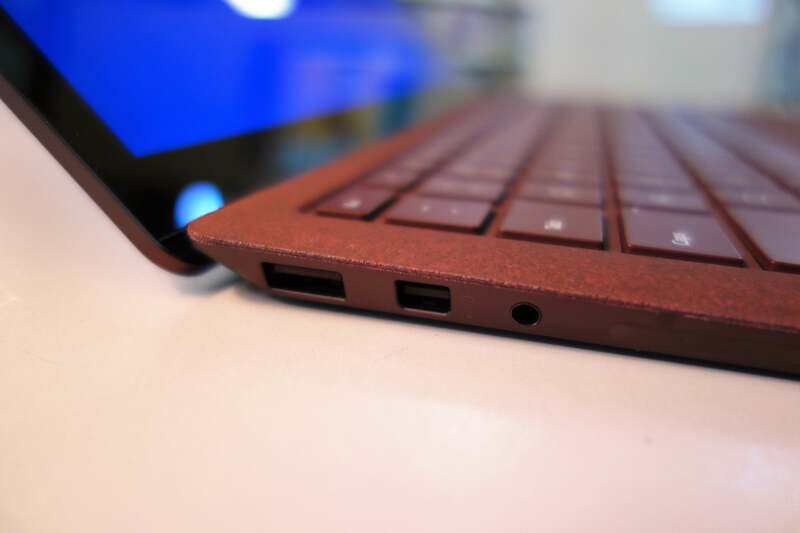 The Surface Laptop’s touchpad feels great, slightly oilier than the Book’s aluminum surface. Clicking and gestures worked as expected. A pair of “omnisonic” speakers are buried beneath the keyboard. The volume reaches satisfactory levels, slightly vibrating the keys as you type upon them. Naturally, there’s not a lot of bass, and I’d recommend headphones. I never powered off the Laptop by accident, but it’s still an odd place to put such an important button. Part of the way to identify a Windows 10 S machine is with this custom background image, seen here. Windows 10 S provides an extra layer of security, Microsoft says, as well as quicker boot times than Windows 10 Pro. Holes have already been poked through these claims: Windows 10 S was breached by a researcher using Word macros, which are only blocked if you have an Office 365 subscription. And in our tests, the Surface Laptop took 19 seconds to cold-boot to the desktop, compared to 14 seconds for a Surface Book running Windows 10 Pro. Our Surface Laptop did, however, come with device encryption enabled, helping protect files from unauthorized access. That’s a feature normally associated with Windows 10 Pro. 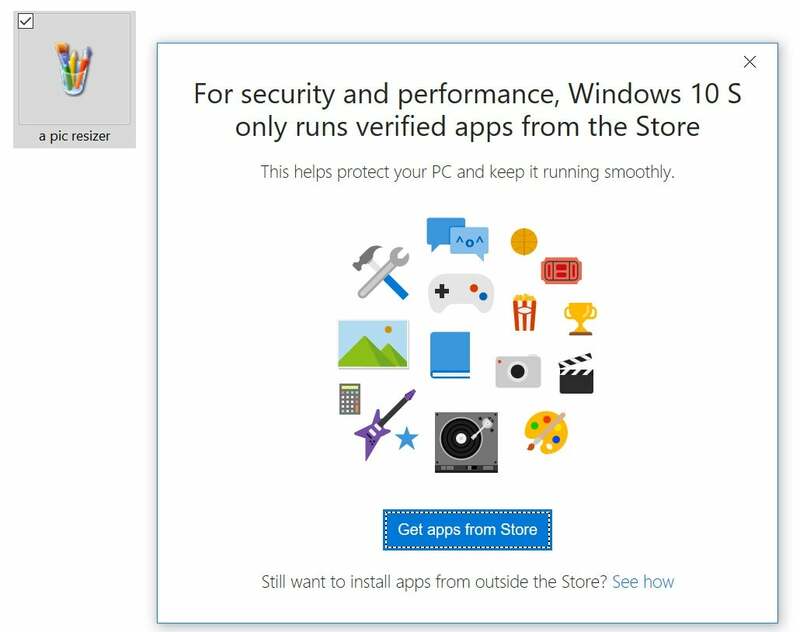 Restricting Windows 10 S users to the Windows Store understandably concerns some users. For one, you’re subject to the whims of Microsoft: As longtime users know, Microsoft’s Store has ranged from abysmal to where it is now, an adequate to decent experience. Unfortunately, not every app within the Store can be used by Windows 10 S, including some Win32 apps that Microsoft has begun publishing. If you do try to use a prohibited app, you’ll know it: A popup window will appear, with a link to the Windows 10 Pro upgrade at the bottom. You can move apps around like any other file, but you simply can’t run them unless they’re Microsoft-approved. Microsoft recently made its Office apps accessible through the Store in preview, and they worked smoothly, without any bugs that I could find. The Surface Laptop ships with a year’s subscription to Office 365 Personal, good for a single device like the Laptop. The biggest app hurdle that Windows 10 S users will likely encounter, though, is something rather prosaic: their choice of browser. Because browsers like Chrome, Firefox, and Opera aren’t found within the Store, you’ll be forced to use Edge. Exporting bookmarks from another browser and importing them into Edge is simply a pain—and forget about saved passwords. Worse, Edge Favorites I’d saved in a Windows 10 Pro machine refused to carry over to Windows 10 S. Windows 10 S also returns search results from Bing alone, though nothing prevents you from bookmarking Google.com. Many common apps aren’t in the Microsoft Store. 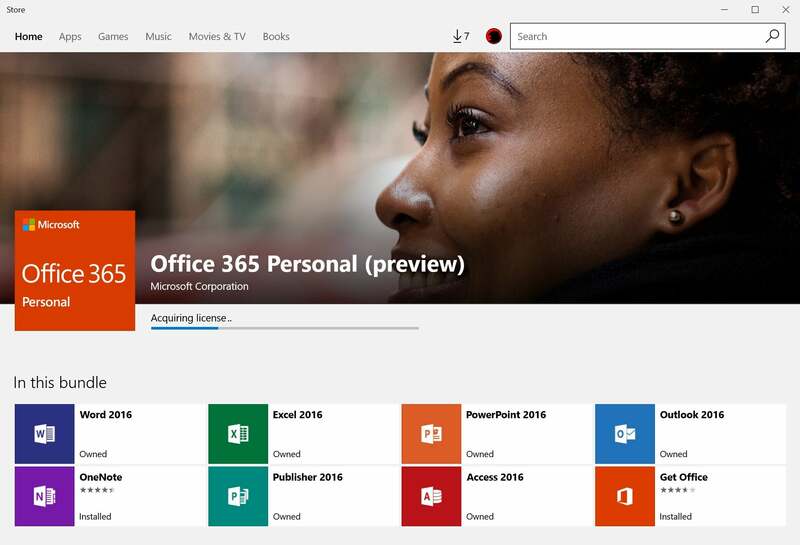 Fortunately, Microsoft Office is one of the exceptions—but you’ll need to use the built-in “Get Office” app to find it. That web-based approach works well for some apps that haven’t made it into the Store. I’ve never been a fan of using a dedicated Windows app for Twitter, for example, though I use Slack’s app. With Edge, I could put both services into a tab and snap them to a corner of my screen. I was a little shocked to discover that apps I didn’t consider to be apps were also blocked, namely the Command Line. It doesn’t appear within Windows 10 S, and commands that would normally launch Command Line or PowerShell simply don’t work—or, if they do, a Command Line window will blink into existence and then “pop,” or crash. 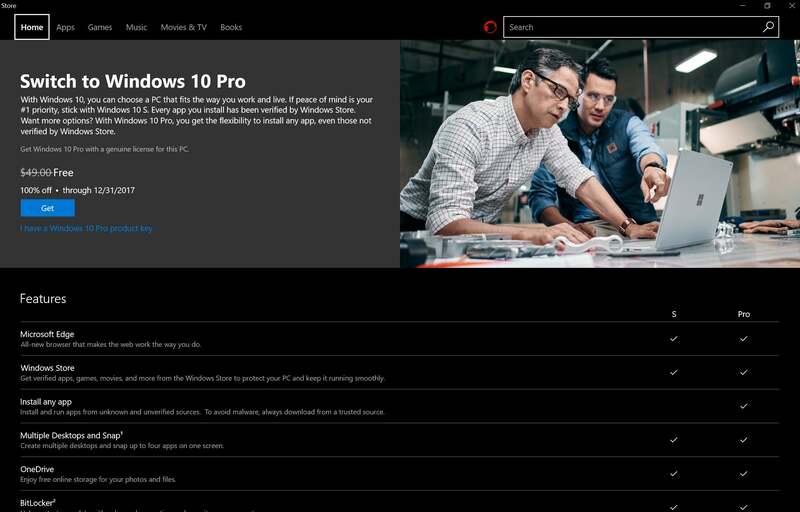 Upgrading to Windows 10 Pro can be done via the Microsoft Store. For those users who want a little more, Windows 10 S does provide an escape hatch: a built-in upgrade path to Windows 10 Pro. Until the end of the year, it’s a free upgrade. Because we couldn’t run many of our conventional benchmarks on Windows 10 S, we selected browser-based tests that could stress the Surface Laptop. We’ll update this review with additional tests once we upgrade it to Windows 10 Pro. We compared the Surface Laptop to machines including the Surface Book and the recent Surface Pro. 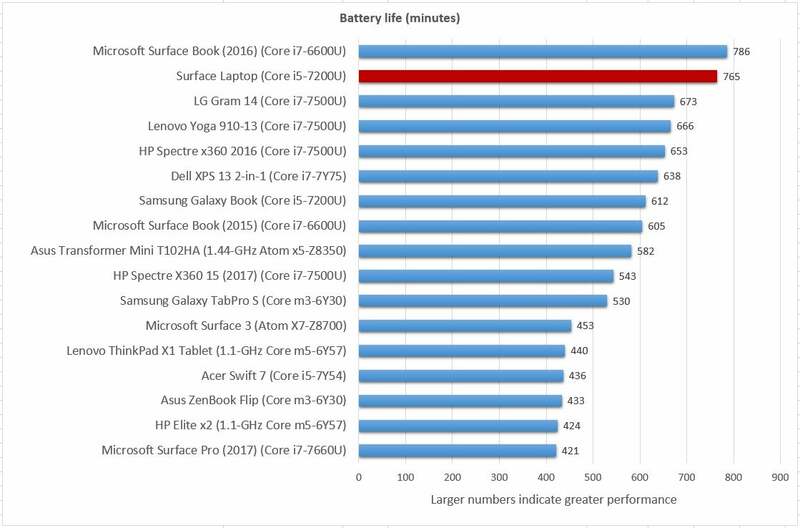 Recall that Microsoft also claims the Core i5 Surface Laptop is 50 percent faster than the Core i7 MacBook Air. 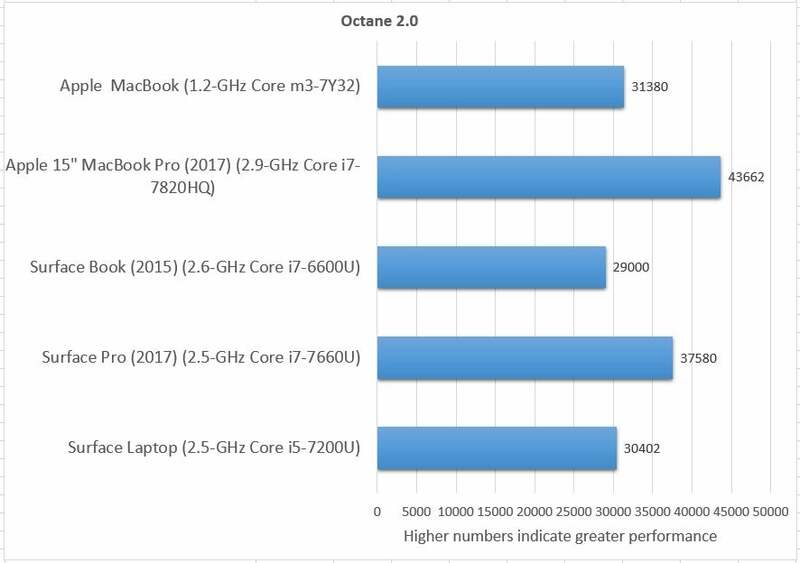 We didn’t have a recent MacBook Air to test, so we compared it to the 15-inch MacBook Pro, as well as a Core m3-based MacBook. The Surface Laptop was slower than all of them, at least where these browser-based benchmarks were concerned. 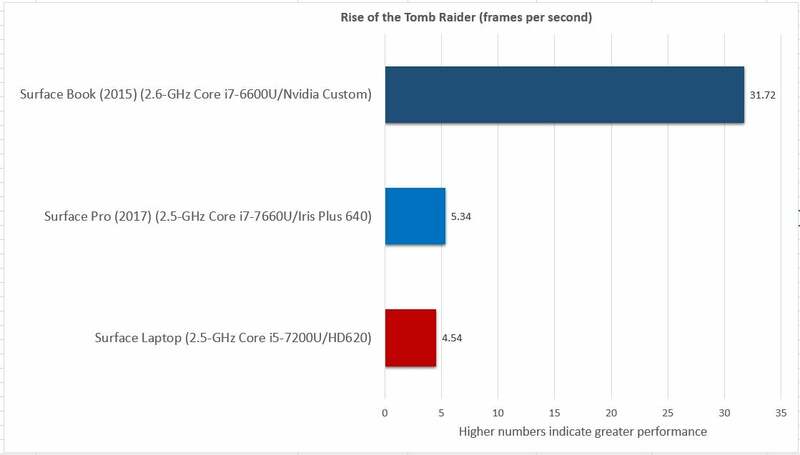 Just for fun, we also ran a built-in benchmark from Rise of the the Tomb Raider, an game that’s available via the Windows Store. Thirty frames per second is considered to be the minimum for gameplay; the Surface Laptop’s 4 fps is not remotely playable. We’ll dig into this more once we unlock the Laptop with Windows 10 Pro. One of the areas in which the Surface Laptop absolutely shines, however, is battery life. Color us a little skeptical after Microsoft’s claims of 13.5 hours for the Surface Pro proved to be only 8 hours. We’re beginning to think that that may have been the fault of the Iris Plus chip, for the battery inside the Surface Laptop with Intel’s HD 620 lasted a whopping 12 hours and 45 minutes, continually stressed as we looped a 4K video. That stamina is what a student needs as they go from class to class and then to the library. Oddly, the Surface Laptop feels like progress forward and back, all at once. Microsoft originally designed the Surface lineup to hustle its hardware partners faster into the future, implicitly stripping Apple of its design cachet and encouraging consumers to buy new PCs. Now, the Surface Laptop has stepped down a rung, challenging some of the cheaper, more mainstream product lines of its hardware partners to keep up. Laptops like HP’s latest Spectre x360 already do, but other vendors could use a push. As someone who enjoys diving down into a Settings menu or adjusting the registry, Windows 10 S feels cramped. I have to believe most college students will encounter some app they either need or want before too long, and chafe at the restrictions. Sure, the upgrade to Windows 10 Pro is free for now, but it should be free forever. 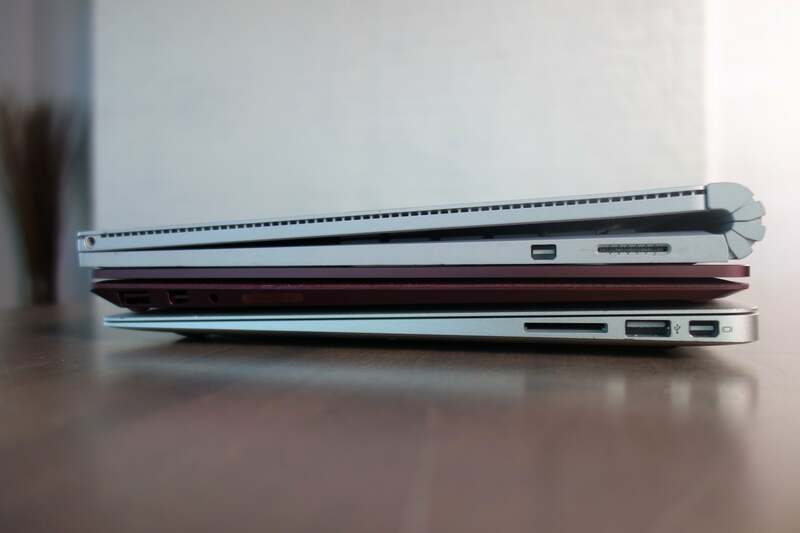 Microsoft’s Surface Book (top), the Surface Laptop, and an Apple MacBook Air from 2010. I’m also still a bit leery of Microsoft’s port choices. Apple received praise for eliminating the floppy drive and DVD-ROM, but received criticism for the single Lightning port that forced users into a web of dongles. In four years, will students curse Microsoft’s cheapness, and reluctance to invest in USB-C? Maybe, though today a USB-A connector is still the right choice. The tipping point to USB-C isn’t that far away, though. That doesn’t change what Microsoft has accomplished with the Surface Laptop. Decent performance, a stylish exterior, and outstanding battery life check all the boxes of a product designed to upend the MacBook Air. Sure, the Surface Laptop might not have as much to write home about as its fancier Surface kin. But for Microsoft, that’s nothing as long as the Surface Laptop is what those students are writing on.